This is another Strip Search challenge, to complete a comic in 90 minutes, given a two-part topic. 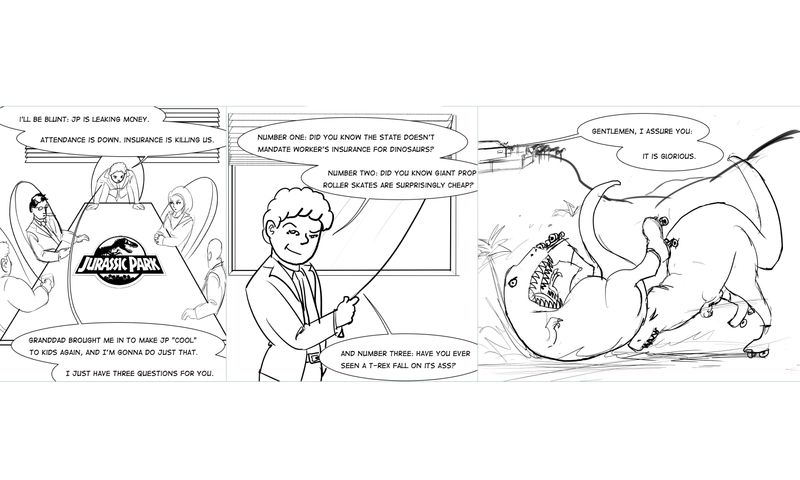 This week’s was “Dinosaur” and “Roller Skate.” Here’s the comic. Hit “read more” to get my opinion on it.